The 2018 Volkswagen Atlas was a brand-new model that debuted last year. Replacing the respectable Touareg, the Atlas still managed to win over many critics and customers, becoming a very beloved and well-selling SUV in quite a short amount of time. Now, that brings us to its sophomore year with the 2019 Volkswagen Atlas! As its only in its second year, the 2019 Volkswagen Atlas doesn’t have a list of dramatic changes. After all, for many drivers, the Atlas is still fairly new and unfamiliar so it needs time to solidify its place in the automotive world before major changes can resonate and draw the attention that the Atlas deserves. Still, that doesn’t mean there’s nothing new to appreciate. There are plenty of upgrades and updates included with the 2019 Volkswagen Atlas, many of which we’ll explore today! Find Your Volkswagen Atlas Match! 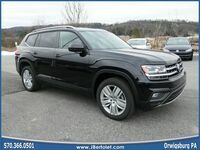 When Can I Get the 2019 Volkswagen Atlas? The 2019 Volkswagen Atlas, along with a string of other new 2019 VW models, is expected to release before the end of the year. It’s currently unclear if all of these newly announced models, which includes the 2019 Golf and 2019 Tiguan among others, will all be released at once or if they’ll be paced out amongst the remaining months of 2018. 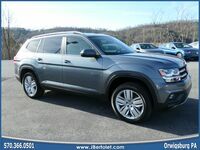 However, for additional inquiries and information, please contact us here at the J. Bertolet Volkswagen dealership located in Orwigsburg, Pennsylvania. 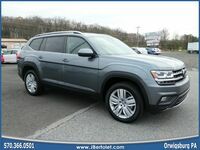 Interested in a Volkswagen Atlas?